Written on February 7, 2012 at 11:58 am by Air Coole VW Love! I really dig that dashboard! There is a problem with the ignition switch though. I suppose the original key was lost and another switch was wired in. I hope to fix that issue. The ragtop is new but it doesn’t have a window. Also, I’m not certain that it was installed correctly. So here it is. The bug I have been wanting for years. I created this website because I love the air cooled VWs and had planned on getting one much sooner than this. But it is now sitting in my driveway and awaiting some tender love and care. I look forward to some good times with this! 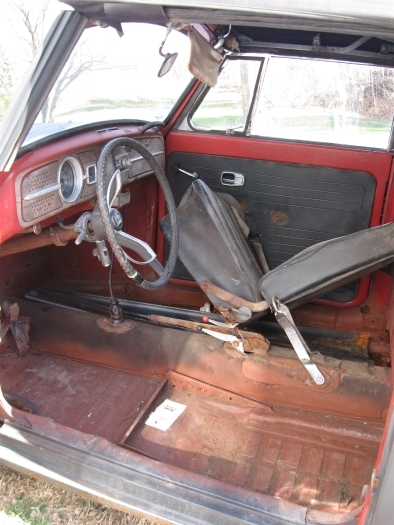 Now, I am being told that this car has to have seats from a 1967 Convertible and not the ’67 standard. Not only was the 1967 models unique but there were differences between the vert and standard bugs. I just got a package from Keith’s Auto Parts -- Volkswagen Specialists. I will be ready to see if I can get this engine running very soon! Keiths is at 304-548-7627 or 1-800-722-3289 (1-800-RACEAVW) great prices and knowledgeable people. They also have an extensive machine shop. I have ordered stuff from these guys many times over the years. If you have a VW you need to add this to your resources. They do NOT know that I am posting this here and as far as I know they dont know this site exists. I am not associated with them in any way other than being a satisfied customer. Thanks Dave, Until I got this car I had no idea how unique the 67 was. But I have been learning a lot over the past few weeks. I am a member of the Samba forum, great forum and a lot of helpful folks there! The 1967 Beetle convertible came in two versions: 1967 and 1967 1/2. The distinction lays in the upper rear body panel below the rear window and how the top is installed. 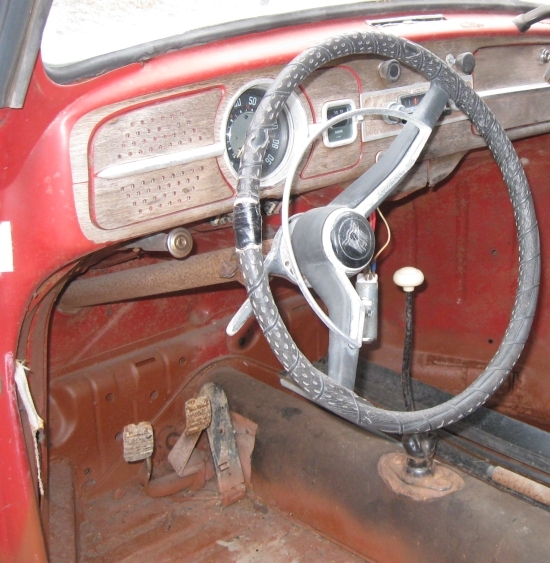 The 1967 convertible used an oak wood strip, nails and staples to secure the rear top lower material. The 1967 1/2 utilized a tensioning cable that fits into a rolled sheet metal channel to secure the top fabric material. The 1967 1/2 is the easier top to install because of this. Seats: Regular 1967 Beetle sedan lowback seats are correct for the 1967 Beetle convertible. What is different and very difficult to find are the one-year-only, short-stalk retractable seatbelts, of which I have a few pairs. 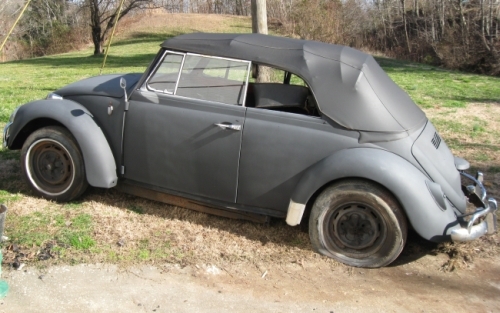 Also, many 1967 Beetle owners are not aware that the hood handle is also a one-year-only item and becoming very hard to find. The 1967 Beetle hood handle is stamped (formed) stainless steel sheet. 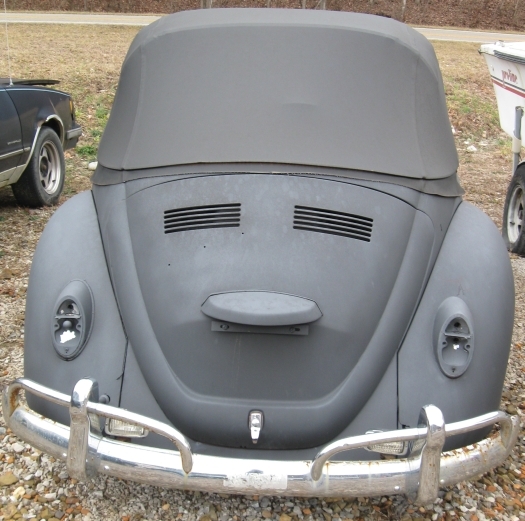 1966 and earlier Beetle hood handles are common diecast, with the exception of some 1949 and early 1950s Beetles which are cast aluminum.